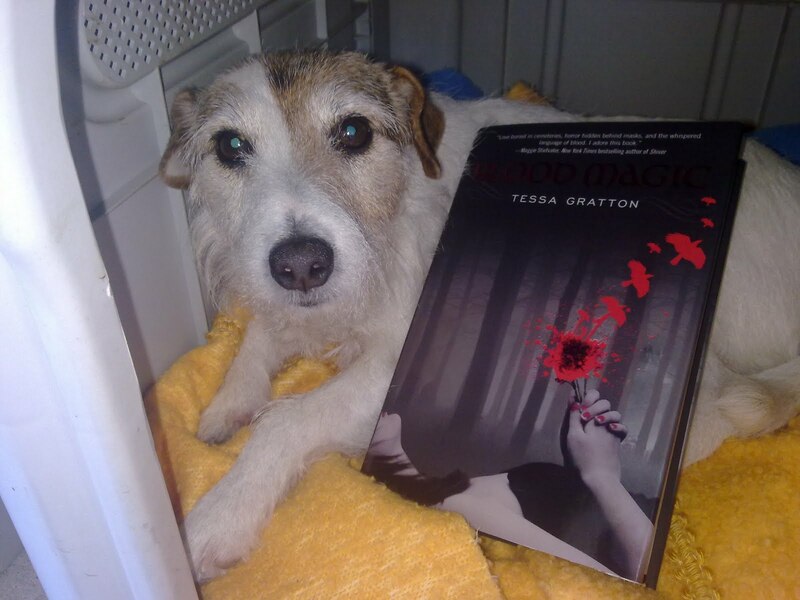 Simon Hay Soul Healer: Online Friends & Writers Series — Tessa Gratton & Blood Magic! 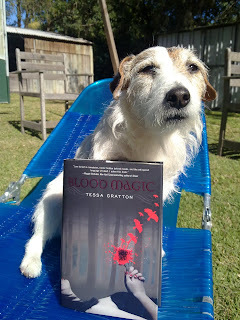 Online Friends & Writers Series — Tessa Gratton & Blood Magic! 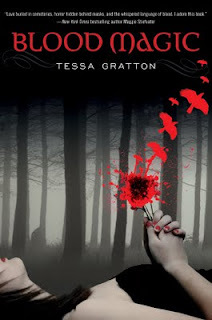 Tessa Gratton is one of my favourite YA authors. I’ve been reading her short stories at Merry Sisters of Fate forever. She’s lyrical, mystical, fantastical — see all the cal’s, that’s me trying to impress her. She knows words, lots of words! She falls asleep reading dictionaries, and dreams about cadavers, Norse Gods with abs, and blood! Listen to this — When I was a kid, I wanted to be a wizard. Or a paleontologist. Maybe both. I’m neither now, but magic and monsters are still my favourite things.— that’s from her bio! She scares the b’jesus out of me, but I grew a set (that’s another cal sounding word), tried not to sound like a chipmunk, and asked Tessa some questions. Rather than the marketing blurb, can you share the around the dinner table with family and friends I love Blood Magic pitch? I always tell people in person that it’s about two teenagers in small-town Missouri who discover they both have a family history of folk magic. With cemeteries and kissing and blood. In the morning I can’t write without first having a shower and a cup of tea. When you’re writing are you an all-day pyjamas girl, or is there a routine you follow? I put on my special pyjamas (seriously) get some coffee and sit down to do emails and read blogs while the caffeine does its job. That’s really it. I like not having a routine I have to follow, because it means I can write anytime, anywhere! If you had ten million dollars to give to any charity, which charity would you donate to and why? You know what I’d really do? I’d use a bunch of the money to buy the stuff they need at the local domestic violence shelter and the animal shelter, and then take the rest to set up a fund through the local library to offer scholarships to teens for either high school or college. If you could have dinner with any person, alive or dead, who would you choose and what would you talk about? William Shakespeare! Not very original, but wow, we could talk about everything. I’d ask what his favourite word is and which character was his favourite to write. Do you believe in magic, and if you do, why? I don’t believe in magic exactly, but I believe that there are experiences that are so powerful we can’t understand them. I believe that human beings see and create patterns that can seem like magic. I believe that beauty and hope feel like magic sometimes. b) Go to dinner with Dean, take your blackberry, and spend the evening ignoring him and chat with your critique partner. c) Calm your critique partner down and reassure them that they’re capable of handling this, and tell them you won’t be in cell phone range this evening. I can’t even think about rewriting 20k in 12 hours. I don’t think it’s physically possible! So maybe I’d get Dean inside and he could get his angel bud, Cassiel, to bend time or something so my crit partner could succeed. It would be like dinner-and-world-saving, which is something I’m sure Dean’s used to! You can stalk Tessa on twitter and facebook, or follow her blog. Buy Blood Magic here, here, and here. She’s everywhere! I feel like the eye of Mordor is watching me. Disclaimer thingy: I paid for my copy of Blood Magic, Tessa hasn’t given me one of her infamous tarot card readings, and she never calls … I promised myself I wasn’t going to cry. "Dad, how much blood does she need?" Tink, I don't think she uses dog's blood. "Look, I haven't had much sleep, I've been up all night reading, so don't put this photo online." I'm not sure why, but reading the interview made me tired. Probably because Tessa sounds like a ball of energy! Oh I love this interview! Especially this: "I believe that beauty and hope feel like magic sometimes." :D I will definitely put the book on my TBR list! Thank you. Lisa, it's a good read.